Seasnax sells a great product, their dried seaweed salad. 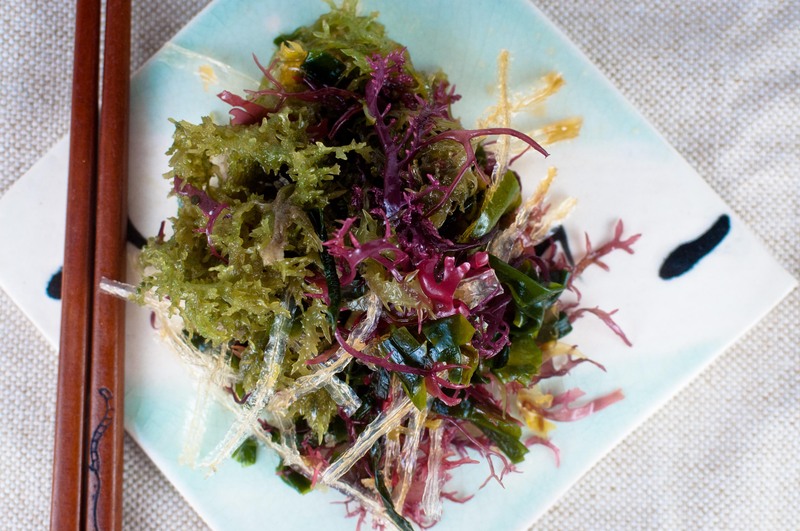 A mix of wakame, agar, suginori, tsunomata and maufunori, they blossom from the shriveled dry state into a beautiful salad of deep green and vibrant magenta. I toss this with a simple vinaigrette of equal parts soy and rice vinegar mixed with sugar and a drizzle of sesame oil. Easy as that for a side to pair with sushi or any other main dish.